Check Out The New Tile Mural! This past summer the students at The Peter Paul Development Center's summer camp came to VisArts to learn about clay and mosaics. I lead a group of the older students to come up with the mosaic design and then each student created a handmade clay tile. We also had help from some of the participants in Peter Paul's senior program. 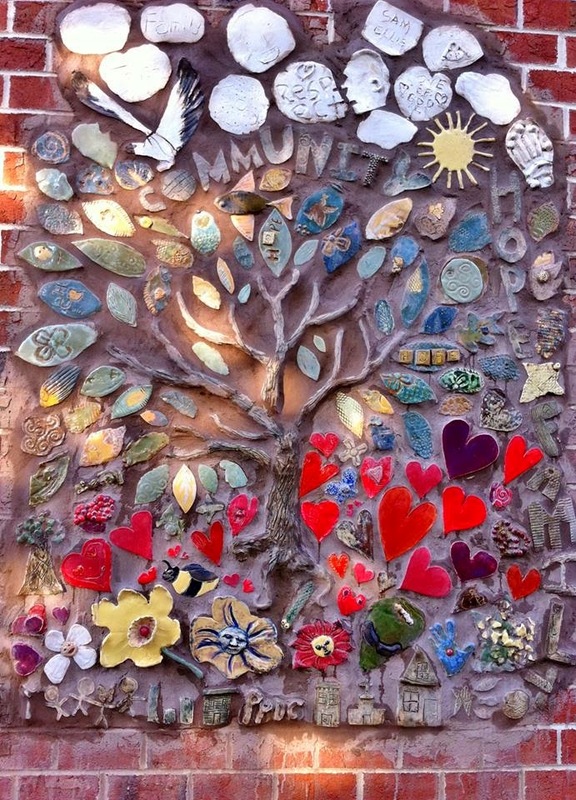 The mural recently was finished, installed and sealed in the center's garden! We love it!